Preparation Methods & Dosage :Arnicated oil, (Arnica flowers infused in oil), or extracts. 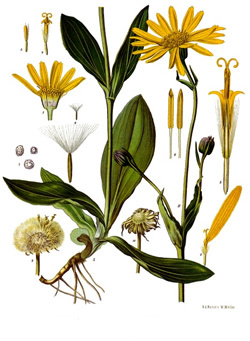 Arnica is often used in homeopathy and should only be taken internally in the extremely diluted form common to homeopathic remedies. 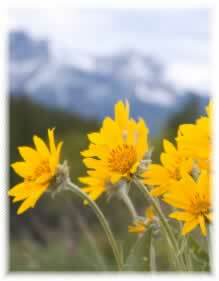 Arnica is a classic sunflower with bright yellow daisylike flowers. In the North America variety, Arnica chamissonis, the flowers are used in preference to the rhizome. Herbal arnica preparations have a much higher extract concentration than homeopathic preparations. Homeopathic remedies are produced by multiple dilutions of a plant extract. Strength is determined by the amount of dilution in the extract that is expressed with letters that correspond to the factored dilution as "X" or "D" (factor of 10), "L" (factor of 50), or "C" (factor of 100). 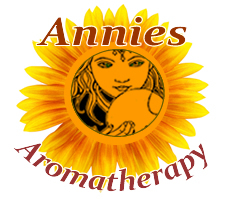 Arnica 30X is arnica tincture diluted to 1�1030 in solvent. In several studies using oral homeopathic arnica to treat post-exercise delayed-onset muscular soreness, a tendency toward relief was noted in some data, but preparations and results were inconsistent.